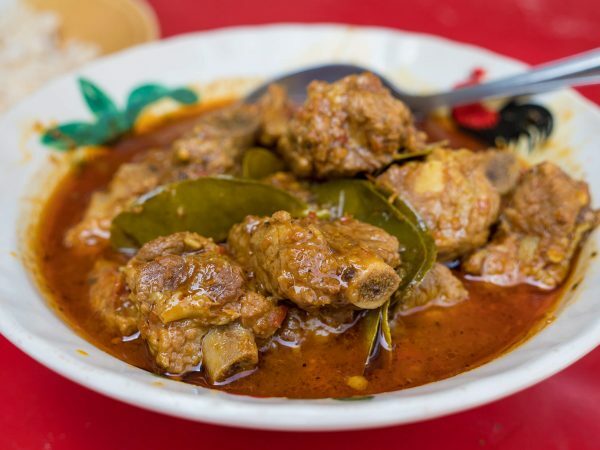 When it comes to restaurants in Phuket, easily the most recognized is Raya (ร้านระย้า). 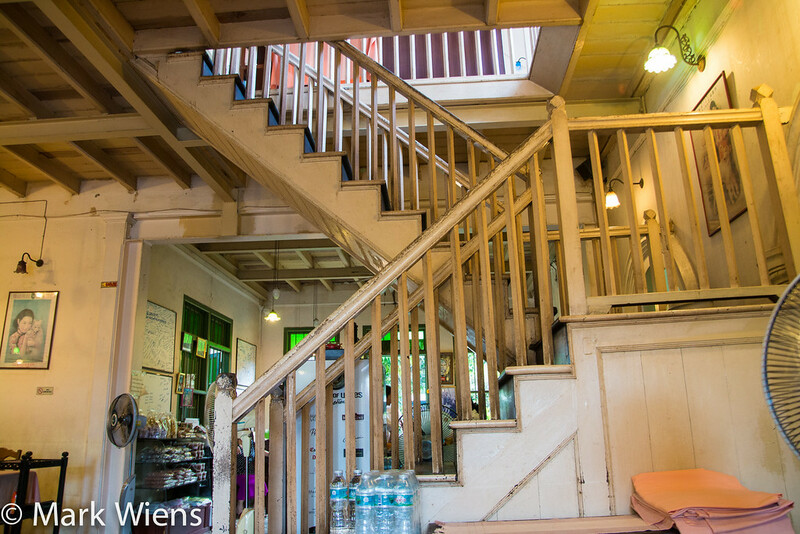 The restaurant is famous for being one of the premiere restaurants in Phuket Town for preserving and serving original Phuket style Thai dishes. Just like Lock Tien, Raya is popular with both local Phuket residents, and visiting Thais from around the country, but Raya is much more high end. I think one of the best things about eating at Raya Restaurant in Phuket (ร้านระย้า) is the ambiance and the atmosphere. 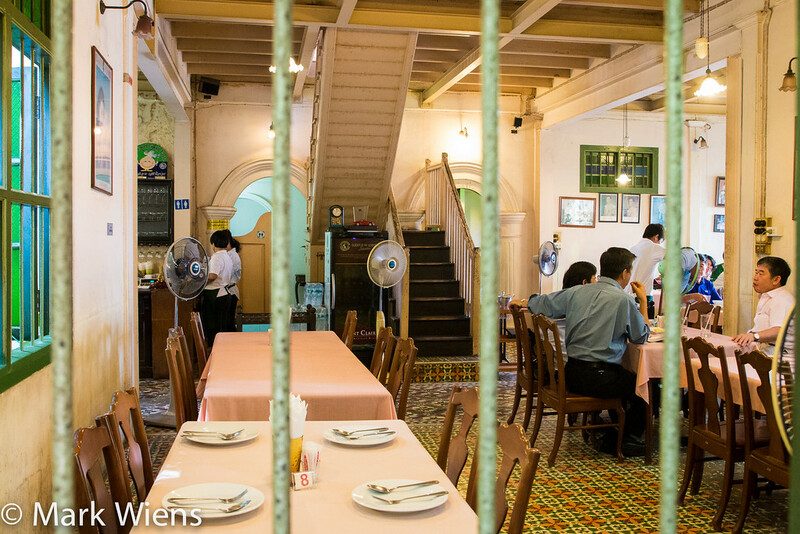 The restaurant is housed in a Sino-Portuguese house, that’s beautifully preserved and decorated. Unfortunately it’s kind of tucked behind a modern style bar and restaurant, hiding some of the house, but nevertheless, the property is still charming. There’s both a downstairs and upstairs, but unfortunately the day I ate there, there was a private function occupying the entire upstairs, so I was only able to sit downstairs… that’s ok, but if you go, you can choose where to sit. 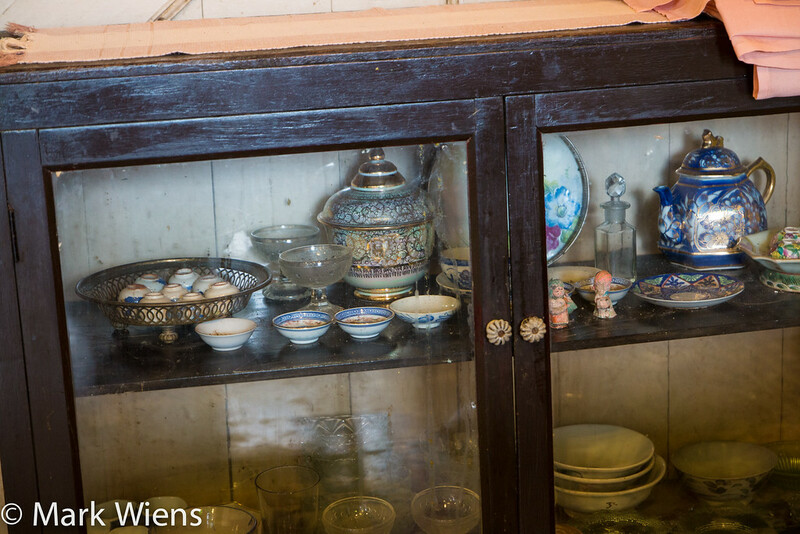 Even within the display cabinets around the house there were beautiful decorations, fine China, and other antiques. 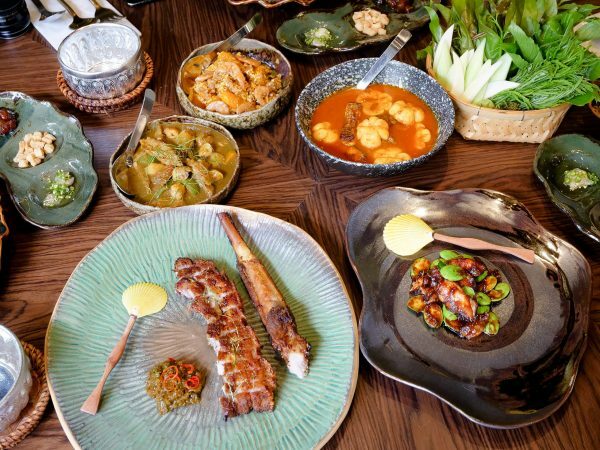 Eating at Raya Restaurant is sort of like eating in a breathing museum… with better tasting food. 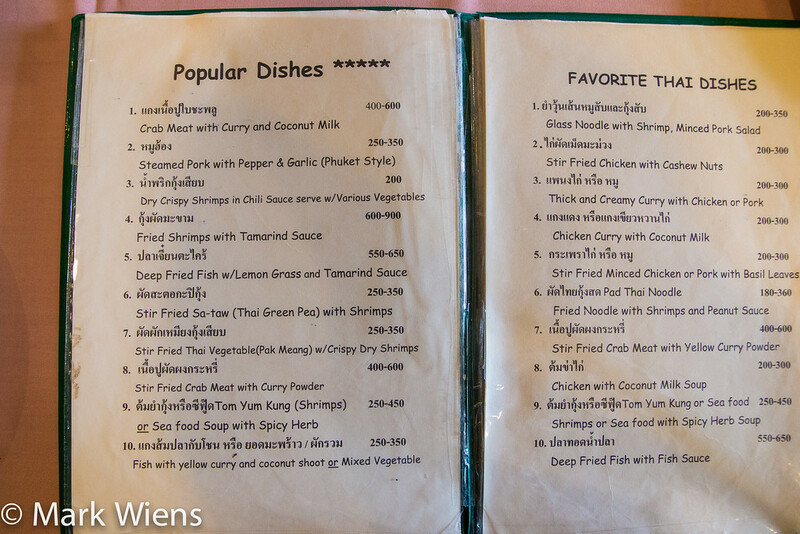 The menu is written in both Thai and English, so if you’re visiting Thailand, you should have no problem ordering. There are a variety of different Thai dishes on the menu, but my main eye and attention was on the “Popular Dishes” section, where many of the original Phuket style dishes are mentioned. I wish I could have tried everything at Raya Restaurant, but with just my wife and I, we only could try a few. On my next meal here, I’ll be trying the crab curry! You’ve probably seen me write about stink beans quite a few times already, and I’ve published a recipe, because it’s one of my favorites foods in the entire world. So every time I see sataw (สะตอ), or stink beans on the menu, I simply must eat it. The plate of goong pad sataw (กุ้งผัดสะตอ) at Raya was prepared with shrimp, and heavy on the shrimp paste. It was easily my favorite dish at Raya Restaurant. The plate of goong pad sataw (กุ้งผัดสะตอ) came piled with stink beans, and although there were only about 5 big shrimp, there was a huge amount of stink beans on this plate – perfect ratio for me. 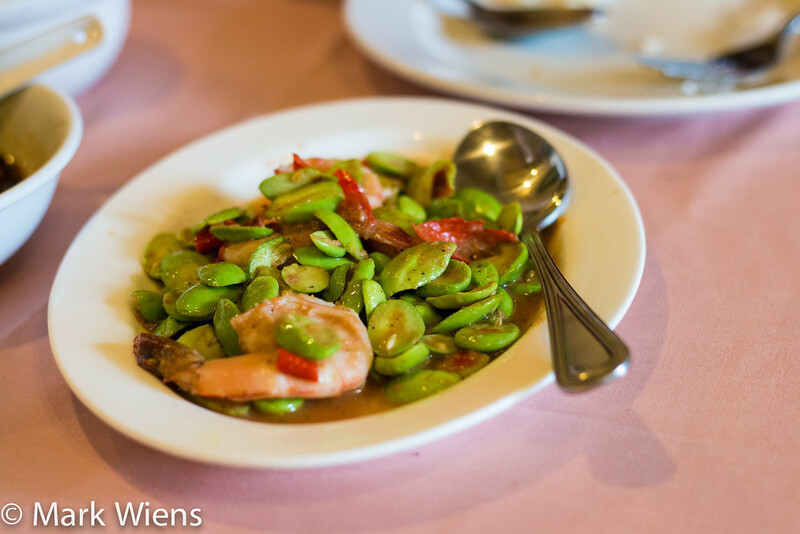 The shrimp and stink beans were stir fried with garlic and chilies, and mostly seasoned with a generous amount of shrimp paste to give it flavor and saltiness. It wasn’t at all sweet, but more salty and fragrant, highlighting the flavor of the stink beans wonderfully. Yah, again, this was, along with the moo hong (หมูฮ้อง) below, my favorite dish of our meal at Raya. 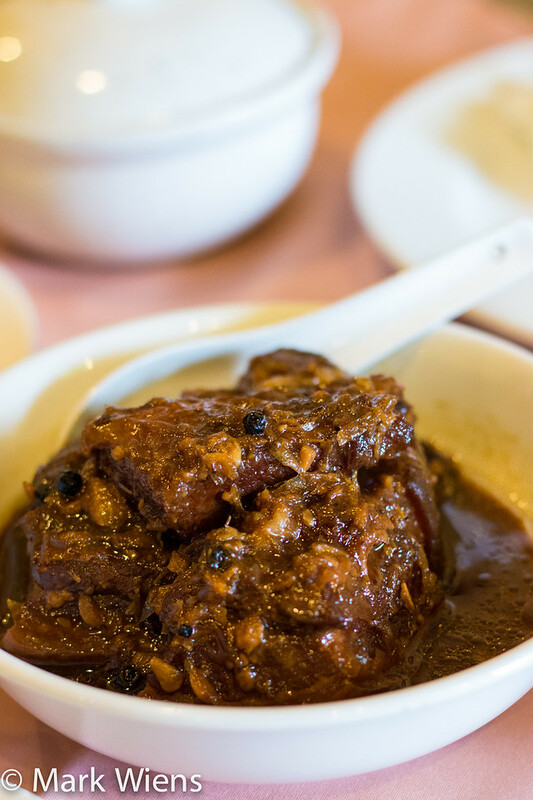 But rather than being steamed, the pork is actually braised for hours until it’s tender and succulent and packed with flavor. Moo hong (หมูฮ้อง) is not only a southern Thai dish, but it’s actually pretty much only available in Phuket where it was introduced. 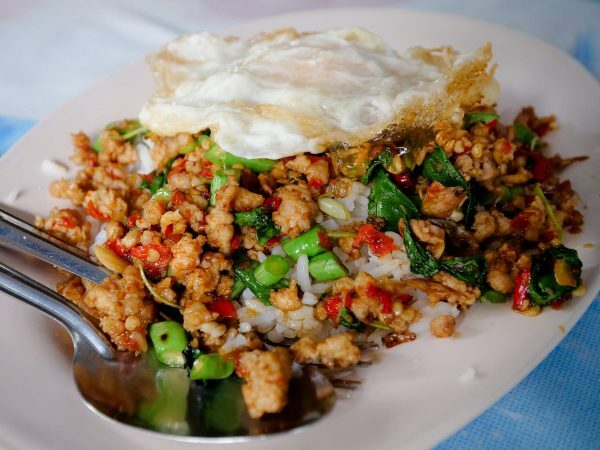 You can find the dish occasionally at at other restaurants, like The Local in Bangkok, but really it’s a Phuket dish. The pork was slow braised with shallots and garlic and palm sugar, and with little spice other than dark and light soy sauce and black pepper. 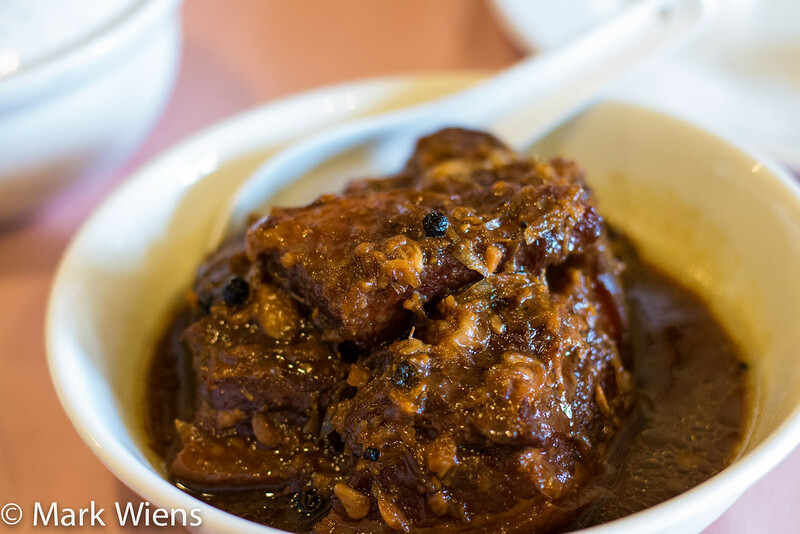 The focus of moo hong (หมูฮ้อง) is mostly on the tender cubes of pork meat and belly. Their version was marvelous, extremely tender and rich pieces of meat, sweet and garlicky, with a wonderful black pepper flavor. Moo hong (หมูฮ้อง) is one of the must-eat dishes at Raya house restaurant Phuket, and in my opinion it was very, very good. Both my wife and I loved it. 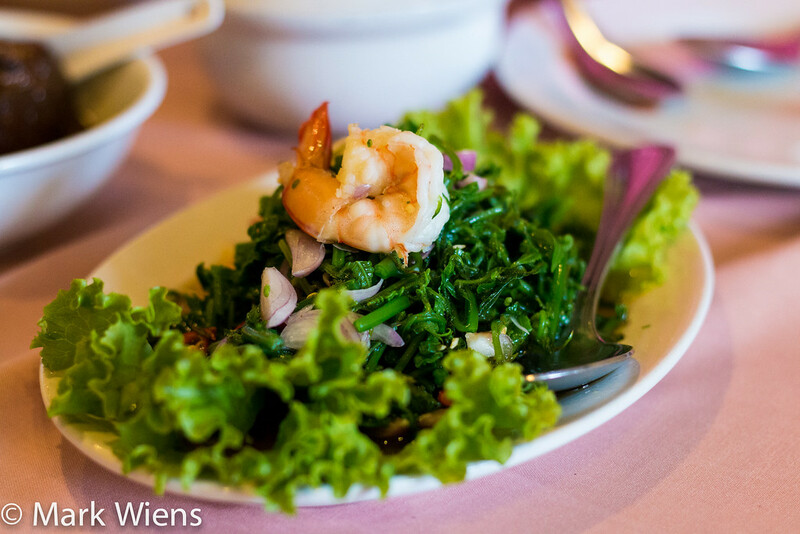 In order to balance out the meat dishes, we ordered a plate of vegetable fern salad (ยำผักกูดกุ้งสด yam pak gud goong sot) with shrimp. Pak gud (ผักกูด), a type of edible fern, is typically one of my favorite vegetables in southern Thailand, it has a wonderful texture and pretty neutral vegetable flavor. But unfortunately this fern salad was overly sweet and didn’t barely have any flavor – it tasted to me like the dressing was pre-mixed in a batch and just added to the blanched vegetables, rather then precisely mixing the dressing for the individual dish. At restaurants like Nong Joke in Krabi, I’ve had much better and more complex versions of of yam pak gud (ยำผักกูดกุ้งสด). Along with the fern salad, I was quite disappointed with the fried chicken with crispy ginger (ไก่ทอดขิงกรอบ). The chicken was cut extremely thin, and then deep fried to a crisp. However it was so overly deep fried it was completely dried out and stale. The slices of ginger were good tasting, sort of caramelized, but with stale chicken, it just didn’t have a fresh or good taste. I wouldn’t order this again. Raya Restaurant (ร้านระย้า) is one of the most famous restaurants in Phuket, specializing in original Phuket style Thai food. When I was in Phuket Town, one day for lunch my wife and I headed to Raya to get a flavor of Phuket for ourselves. I really enjoyed the moo hong (หมูฮ้อง), a slow braised Phuket pork dish, and the goong pad sataw (กุ้งผัดสะตอ), shrimp with stink beans, but the other two dishes we ordered weren’t nearly as fantastic. 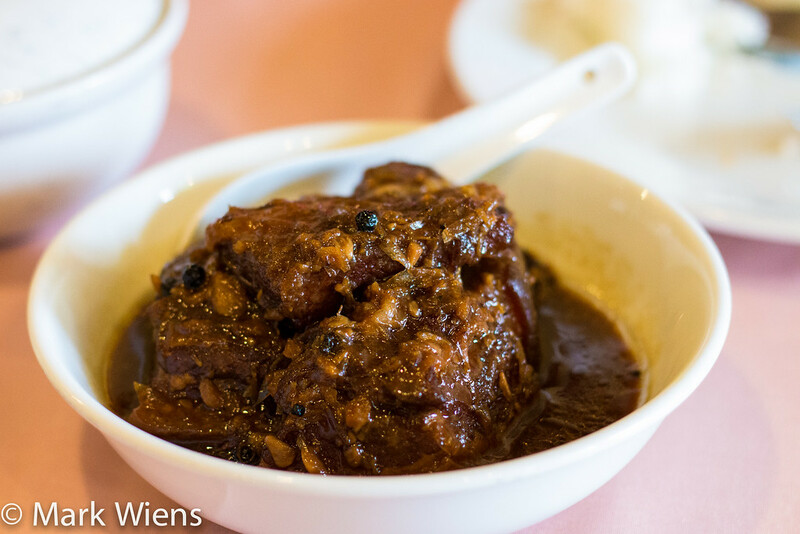 Overall, I’d say Raya Restaurant is worth visiting when you’re in Phuket, especially for history of the restaurant and the atmosphere, and definitely don’t miss a bowl of their moo hong (หมูฮ้อง), and stink beans if you love them! เปิดบริการทุกวัน 10.00 – 22.oo น. 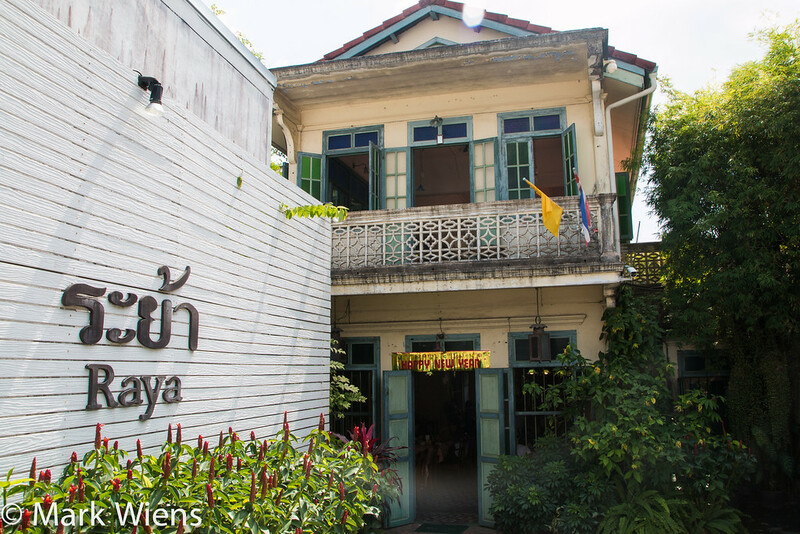 How to get there: Raya Restaurant is located in Phuket Old Town, at the intersection of Dibuk and Thepkrasattri. If you’re staying somewhere in central Phuket Old Town*, you should be able to easily walk here. For the Raya restaurant map, scroll down on the left hand side to “Southern Thailand,” then find “Raya – Phuket,” click on it, and it will highlight the position on the map. 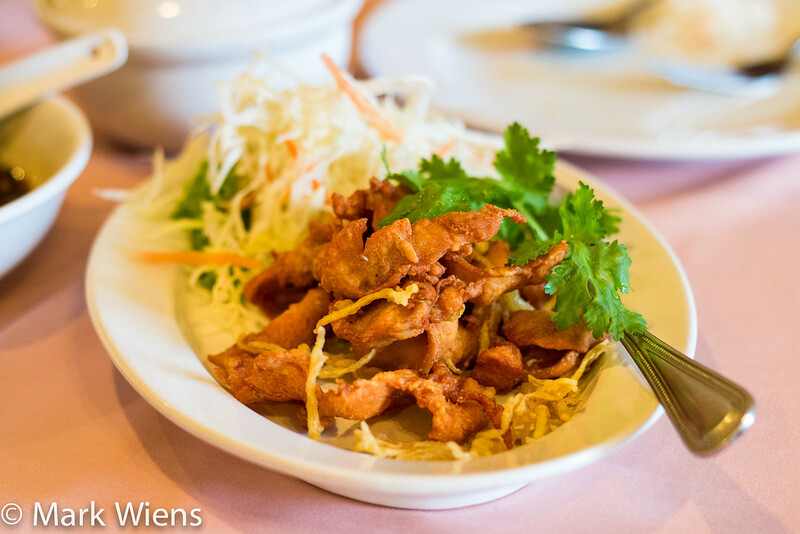 Sorn Restaurant (ศรณ์) – 22 Course Meal of Fine Southern Thai Food! Thai Basil Stir Fry – He’s Been Making It Here for 47 Years in Bangkok! 11 comments. I'd love to hear from you! My husband and I went to Raya when we were in Phuket last week (late Nov.) because another restaurant you recommended was closed. I really wish that restaurant wasn’t closed because our visit to Raya was disappointing. 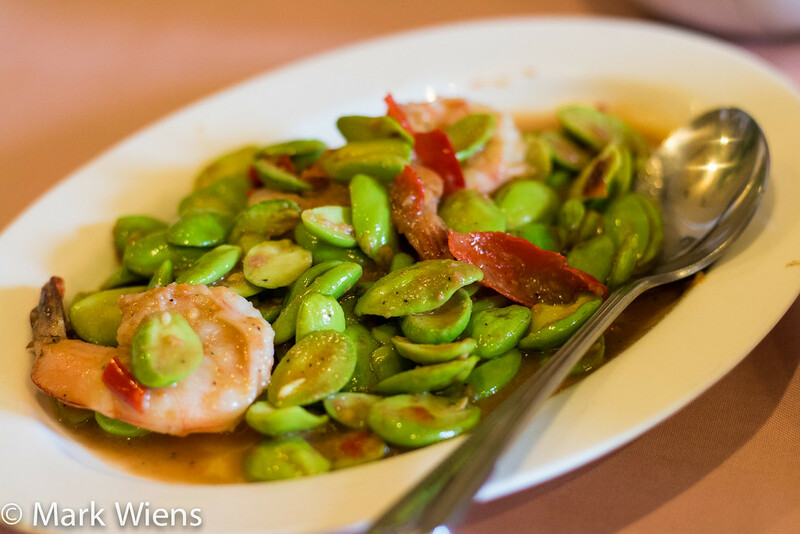 We ordered the two dishes you mentioned here (Moo Hong and the shrimp with stink beans). In terms of flavor, both had plenty, but the shrimp dish came with just three pieces of shrimp. 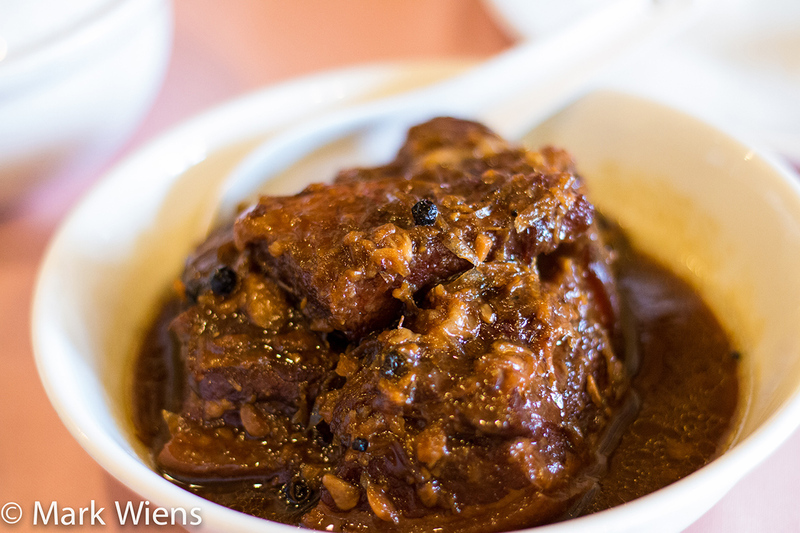 The pork in the Moo Hong was very dry and difficult to eat. Both dishes arrived cold. And this is not the restaurant’s fault, but just added to the negative experience — we forgot our ATM card so my husband had to go back to the hotel, get the card, get cash, and come back to the restaurant to pay since it’s cash only. We had planned to make up for the bad meal by swinging by the Indy Market up the street, but this extra excursion to get cash caused us to miss the market. Luckily, we were able to go back to the Indy Market the following week, and were very happy with our meals there. Overall, the next time I’m in Phuket Town, I would skip Raya. It’s overpriced for what you get and there are plenty of other better food options, in my humble opinion. Went there today. Fabulous stuff. Missed the petai. My wife and l both love petai so we may swing back there for another meal. Any chance you are the same Leanne Ly i know from Sydney? ???? Just reading the reviews on this restaurant for my trip in November and your review popped up. and You probably didnt know that in few steps of walk there is a restaurant called “One Chun Cafe n’ Restaurant” which serve the same kind of foods and also same taste as well, in half of the price you pay in Raya. Thank you Ben, and I appreciate the suggestion. Will try to check out your recommendation next time I’m in Phuket! Another vote for One Chun Cafe. Hi Mark. Will you be putting up a video of you trying the Moo Hong? Looks delicious. Hey Bryce, I filmed a video, but it will probably take me a while to edit and post it, but coming!